Top 5 reds on your stringer. Only two reds over 35" may be on your final stringer. Step 2 - GET a measuring device. Your fish will be measured in inches, not by weight. There are a bunch of measuring boards available online or at retailers like Walmart. If you don’t have access to one a simple tape measure will do, but place the tape measure towards the bottom or above the redfish so that we can easily see your entire measuring tape. We strongly suggest a real measuring device such as a bump board. Step 4 – CATCH redfish. Step 5 – TAKE a picture of your redfish on your measuring board with your “Identifier Code” clearly visible. If the coin is not in the photo or not visible and clear, the fish will be disqualified. 1. This is a CPR online redfish tournament. Catch, Photo, & Release! 2. All redfish entries will be submitted on your TourneyX App. 3. Your rank is based on the top 5 biggest redfish you submit. You can submit as many redfish as you want up until 11:00 pm on the last day of the tournament. Keep upgrading your fish and the top 5 biggest will be judged. 7. 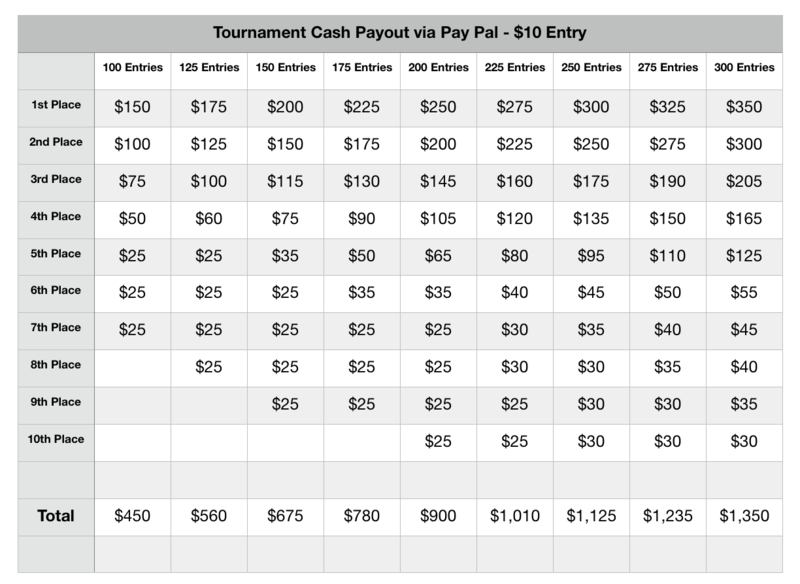 When the tournament starts at 6:00 AM, TourneyX generates a UNIQUE 4 digit code for each angler. Your “Identifier Code” will be listed under the View Identifier area of your APP or Website dashboard. This code will need to be in every redfish picture you submit on the TourneyX app or on the TourneyX.com website. 9. The fish needs to be measured from left to right. Starting from the mouth on the left and ending with the tail on the right. This eliminates people being able to flip the redfish around and submit the fish twice. Dorsal fin must be up. Please make sure your fish pictures are clear. Make sure we can see some of the mouth and the beginning of the measuring device. Completely covering the fish face will result in a DQ of the fish. 10. Top 5 reds on your stringer. Only two reds over 35" may be on your final stringer.